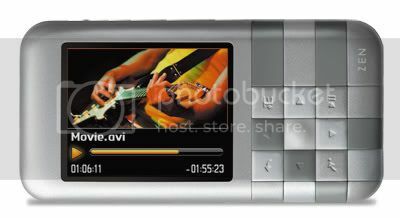 SINGAPORE - 24 July, 2008 - Creative Technology Ltd., a worldwide leader in digital entertainment products, today introduced the Creative ZEN® Mozaic portable media player for music, photos and video. Inspired by the artistic expressions of mosaic art, the Creative ZEN Mozaic, available in vivid pink, chic black or cool silver colour, is a bold design statement that reflects the user's sense of fashion and individual style. 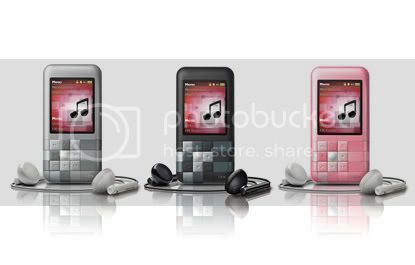 Attractively priced at S$99.00 for a 2GB model (for up to 1,000 songs*) and S$129.00 for a 4GB model (for up to 2,000 songs*), the Creative ZEN Mozaic lets users flaunt their style, while grooving to their favourite tunes, or enjoying their photos and music videos anytime, anywhere. 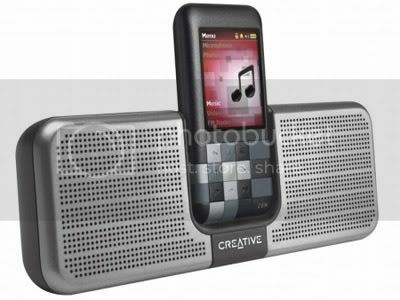 The Creative ZEN Mozaic comes complete with an impressive built-in speaker, vibrant 1.8-inch LCD colour screen, FM radio and voice recorder. Weighing just 43g and measuring 79.5mm x 40mm x 12.8mm, the super compact Creative ZEN Mozaic provides up to 32 hours of audio playback with a single charge of the battery. Also available at a later date are 8GB and 16GB models. "We want to give our latest portable media player a brand new look by going bold with the design of the Creative ZEN Mozaic. The built-in speaker allows you to enjoy your music or videos together with your friends without the use of headphones. This refreshingly unique design concept, together with the superb audio performance that is synonymous with our ZEN series of players, makes the Creative ZEN Mozaic a must-have fashion accessory for music, photos and video on the go!" said Joseph Liow, Vice President, Personal Digital Entertainment Products of Creative Technology Ltd. and General Manager of Creative Labs Asia. Bundled with the new Creative Centrale application, a one-stop media management software that organizes and intelligently tags not just music but also photos and video, creates playlists and transcodes video** to the proprietary video format. Supports audio formats such as MP3, WMA, WMA-DRM 10 and Audible (Format 4) and JPEG format for photos. The Creative ZEN Mozaic is available in black or pink for the 2GB model at S$99.00 and in black, pink or silver for the 4GB model at S$129.00. 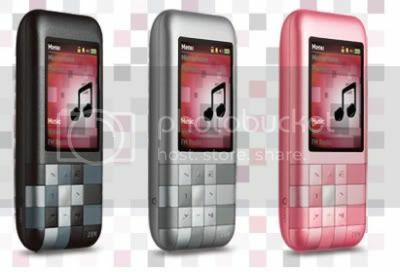 Available later in August 2008 will be the 8GB model at S$169.00 and the 16GB model at S$249.00 in black colour. The Creative ZEN Mozaic and accessories will be available in Singapore in August 2008 at The CREATIVE Stores at Marina Square, Plaza Singapura and International Business Park, the online store at sg.store.creative.com and authorised dealers. For more information about the Creative ZEN Mozaic, please visit www.creative.com/zenmozaic.